I’m not the biggest drinker of water and I know it’s something I need to get better at . 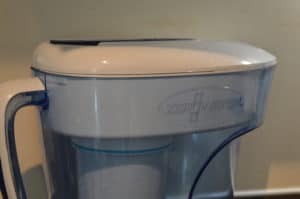 I know the more water I drink the better my skin is so when zero water offered me their water softener pitcher to review . I thought it might give me the kick up the bum to drink more water. The main reason to why I dont drink it is because I dont really like the taste of our tap water. So I only tend to drink water when I buy a bottle of water from the shop. Which if Im honest I never do as I hate paying for water when we have it at home. So I was hopeful that the Zerowater softener pitcher would change how my water tasted. Making me want to drink more water. Did you know that on average a glass of tap water contains large amounts of lead,heavy metals and chromium. When I think of water I dont think about all the things that could be in it. So I found this quite an eye opener. 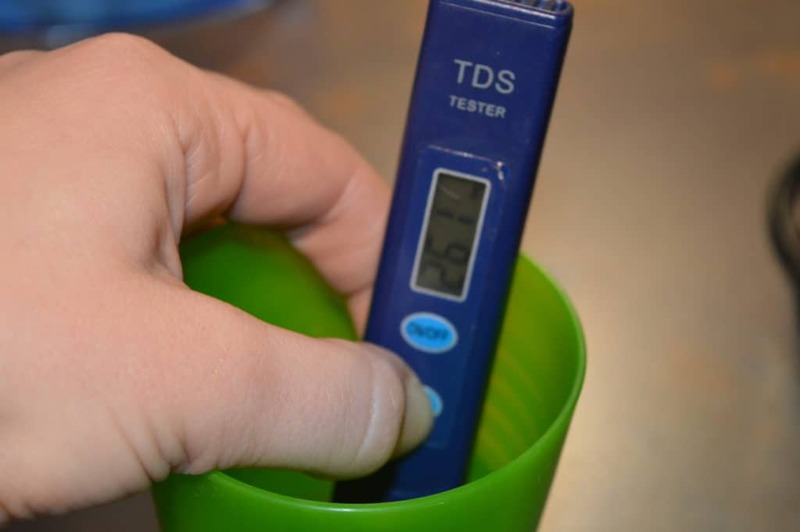 The clever thing about the Zerowater softener pitcher is that it removes 99.6% of all toxins ! The Zerowater filtrations system combines five sophisticated technologies that all work together to remove virtually all dissolved solids from your tap water. Zerowater filers are the only pour through filters on the market certified by the NSF to reduce led. 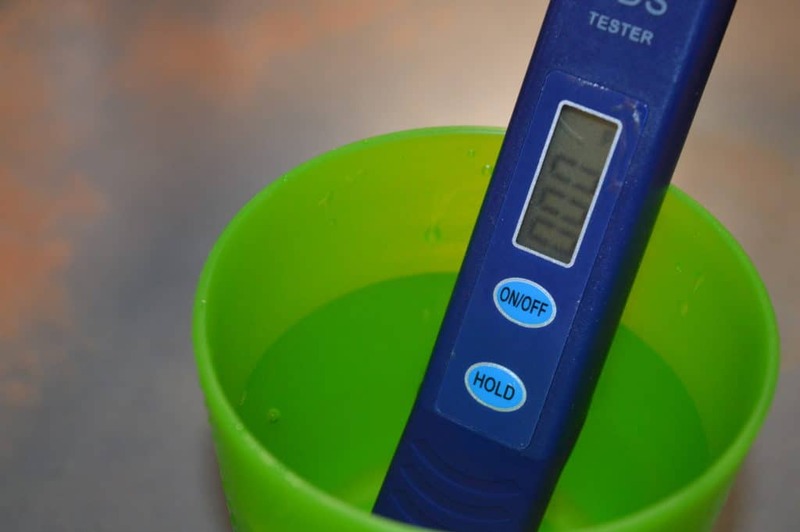 Water quality meter that provides a digital measurement of dissolved solids in your water. I found it really interesting to use this both before and after . As you can see just how much of a difference using the Zerowater water softener pitcher makes to your water. It’s so simple and easy to use you simply get it out the box. But the filter into position and fill it up with tap water. The water will drip though the filter into the bottom of the jug. Once you can see it in the bottom it is ready to drink. I did find that once full the jug can become a little heavy. So Ava wasn’t able to use it herself which she wanted to. So I did have to go and buy her a little jug to pour it into so she could be like mommy. I did thought think it was really clever how you could pour water from the jug even if all the water hadn’t been through the filter. As it benefits from a sealed lid and reservoir. Each morning I would make sure that I would fill it up ready for the day ahead. Which meant I had a drink to hand all day , so I stopped reaching for the sugary drinks as much and poured myself a glass of water. I did find that the water from my Zerowater water softener pitcher tasted so different to our tap water. It did take some getting used to but now im used to it I much prefer the taste of the water that has been filtered by the Zerowater water softener pitcher. I did find due to the fact our fridge is filled with Milk because of having two kids. There wasn’t any space to fit it in the door section of my fridge. So most of the time it would have to be out of the fridge. Which is okay but I do prefer to drink water cold. I did however see on their website that they do loads of different designs to suit all houses which I thought was great. They also do a portable bottle that can be used when out and about. Which also incorporates their filtration system. 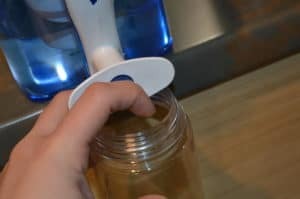 I really liked the push to dispense button on the bottom of the jug. As it made it really easy to fill the kids bottles up. Instead of having to contort my hand in all positions to get them under the tap to fill them up. 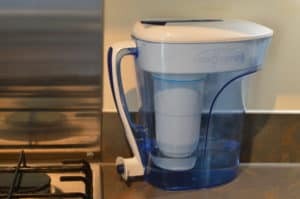 Overall I’m really impressed with the Zerowater water softener pitcher. I did find my water tasted a lot different but after time I got used to it. I have found because I have better tasting water to hand I’m drinking a lot more water. Which has made a big difference in my skin. I’m hoping as the kids get older and we have less milk in the fridge I will be able to keep it in the fridge all the time. As I do prefer my water cold.